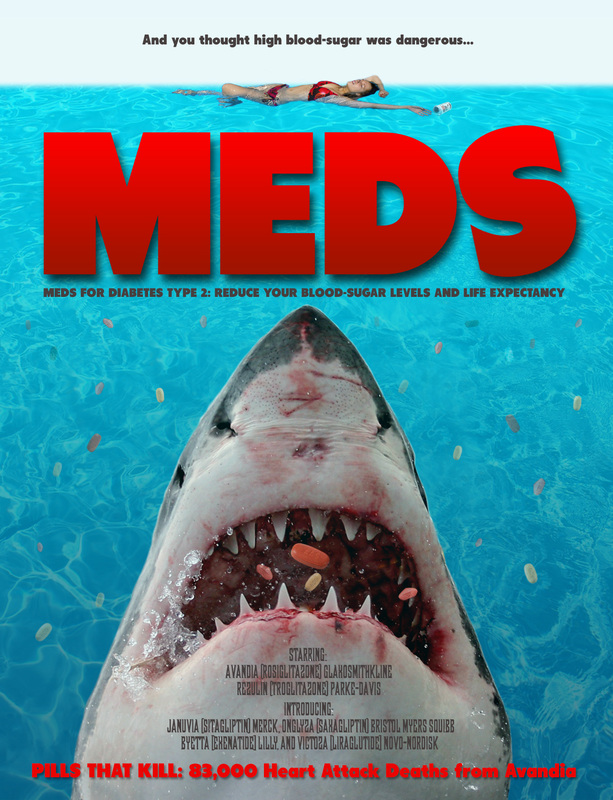 And you thought high blood-sugar was dangerous… Meds for Diabetes Type 2: Reduce your blood-sugar levels and life expectancy. There have been over 83,000 Heart Attack Deaths from Avandia. For more info see Dr. David Healy’s post: Swimming with Great Whites? If you’ve got “Diabetes” look away now.